Canine pal inspires bicyclist’s trek across U.S.
“Oregon resident Ted Schneck is riding his bicycle 4,281 miles to honor one special dog. But he hopes his journey will help many more. 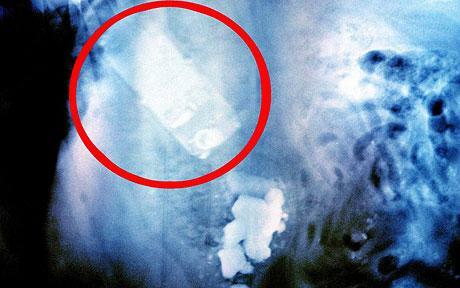 “Nero, a Doberman-Great Dane crossbreed, found his eyes were bigger than his stomach when he snatched a Nokia mobile phone from his owners hand and swallowed it. “Think your dog could stand to lose a few extra pounds? You’re not alone. “A dog had to have 13 golf balls removed from his stomach after eating them during walks. Oscar, a five-year-old black Labrador, was taken to the vet after his owner noticed a rattling noise coming from his pet’s stomach.